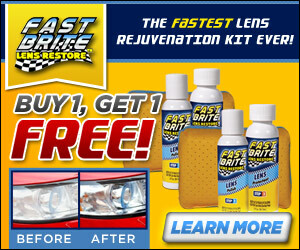 Offer Details: Buy One Fast Brite Kit, which includes 1 Fast Brite Lens Polish 2oz. 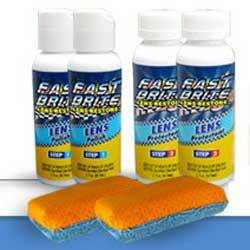 Bottle, 1 Fast Brite Lens Protectant 2oz. Bottle and 1 Application Sponge, all for just 10.00 and $7.95 S&H and get a 2nd Fast Brite Kit FREE! Just pay $7.95 P&H.